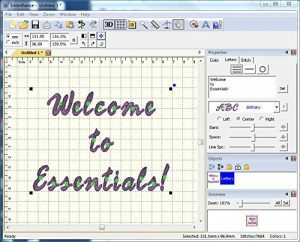 How to choose the best embroidery software for your home embroidery machine? If you asked this question just a couple of decades ago, people would think you are out of your mind. Nowadays, machine embroidery is a popular hobby. And embroidery software is an unavoidable tool to let your creativity flow. Well, to be fair, it is not unavoidable. But, it allows unprecedented accuracy and speed for a variety of intricate projects. Digital technology has changed the world forever. And the change is fundamental. It is not just that we have plenty of gadgets, new machines and easy ways to produce. Digital tech changes the way we think and create. While some people fear that this is a road to alienation and doomsday, I strongly disagree. It is easy to see all the side effects of the modern era. However, it shouldn’t cloud the bigger picture. Benefits of new tech outshine the negatives by far. Just think of medical science, education, and opportunities to be creative and innovative in every segment of life. But, let’s get back to embroidery. New tech has opened up a sea of possibilities. Machine embroidery is gaining popularity. While this progress sparks creation and allows projects to be done in no time, it comes with a small drawback.. If you are brand new to embroidery, mastering additional skills and making the number of choices can be overwhelming. But, you shouldn’t be discouraged. It is easy to find help and tutorials for almost everything. I will walk you through some basic guidelines to help you make the right choice. Before you start looking for particular products you need to set some rules. You can’t just ask your more experienced friend to point at the best software. Because there is no such thing. It depends a lot on your preferences for starters. Your preferences depend on your background and level of knowledge. 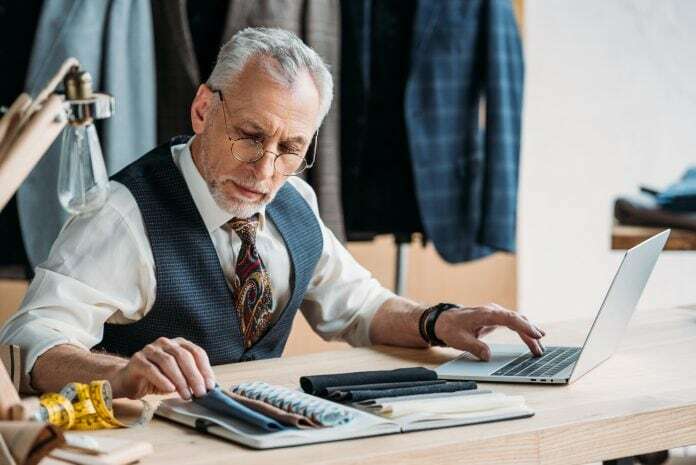 If you are a novice, you don’t want to end up with high end digitizing software that you don’t know how to use with plenty of unnecessary features. Or, to buy basic software that won’t fulfill your needs. You have to preset your priorities. Do you want to use the software as a hobby or for your business? What kind of work do you need it for? These are the questions that you have to answer beforehand. It is also important to know who can you ask for help if you get stuck. Manuals and instructions are easily available but not all of them are understandable. How much money do you want to spend? The range of prices is almost unlimited, so this step is needed. Many companies offer free trials for their software. That is a great way to find out if software fits your needs. So, with so many questions it is impossible to make a recommendation without the answers. However, if you are a newbie, you should start with some user-friendly simple platforms. You can always upgrade as your experience and knowledge grow. These are my top choices. This is probably the most popular basic software. And it is not actually basic. With this software, you can merge, and resize designs. You can colorize and convert thread brands in your design. It can read almost all file formats. This software can write to USB flash drive and even to floppy disk! While the floppy disk is obsolete, a lot of machines meant to work with floppy are still running strong. Another great feature of this software is that it is compatible with both Mac and PC. You can customize lettering fonts for monogramming as well. Downside? There isn’t one. It delivers all that beginner can need and then some. Amazing Designs is very affordable yet feature-packed software. This is great software for lettering. It features a wide variety of colors. You can use 35 built-in fonts. You can do all kind of things with letters. It offers circle text, path text, and vertical text layouts. You can add text to an existing design. 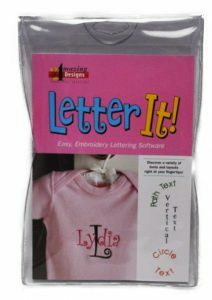 In fact, you can play with letters in more ways than you can imagine. There is a small downside, though. You can’t edit designs. And it is not compatible with Mac. Still, it is a great value for the money. It is a perfect choice for beginners. This is a great starter program. It is very easy and intuitive to use. Organizing and arranging designs is very easy with this software. It is a browser, instant 3-D viewer, converter, organizer, drive writer and zip processor. And that it is what it does. This software can’t edit designs. It doesn’t come with bells and whistles but works perfectly. It delivers exactly what it is meant to. As a beginner maybe it is best to keep it simple. So, this is another great choice for novices. There is a 21-day free trial period to test it out before you buy it. This software is easy to learn and use. It comes with 25 built-in lettering fonts and 5 monogramming fonts. You can merge your own designs with these. It is compatible with most brands of embroidery machines. Also, it is compatible with Windows. You can create square and circle appliques. There are 27 built-in decorative frames for your lettering. You can save or import designs in file formats. When it comes to editing, you can use resize, reshape, center, flip and align tools. 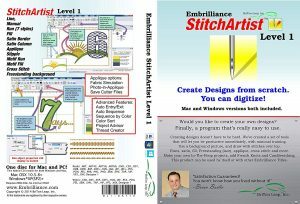 If you have never tried embroidery software before, this is a good choice to start. This program is a perfect first step to learn to digitize. 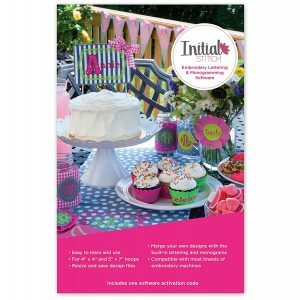 While it comes with a limited set of stitch types and properties, you can still create more than enough. It is designed to help you complete simple projects without too many steps. The whole idea is to learn and enjoy at the same time. These projects include running stitch designs, applique designs simple filled shapes and more. It really provides easy learning. Editing and reworking are easy as well. So, this is a software for newbies with an artistic touch. I tried to present the best software with different styles so that everyone can find a suitable one. 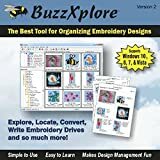 However, this is just the first chapter when it comes to embroidery software. These pieces of software look like toys compared to feature-packed professional ones. Still, they provide a lot of possibilities. You can learn and grow naturally while creating both useful and decorative items.